Retro Tawny in Smoke Brown with scrolls. Glassware by Libbey. Drinkware in good vintage condition showing some light ware. No chips or cracks. These elegant modern glasses will fit any mid century modern design or Madmen theme bar. They show light use. 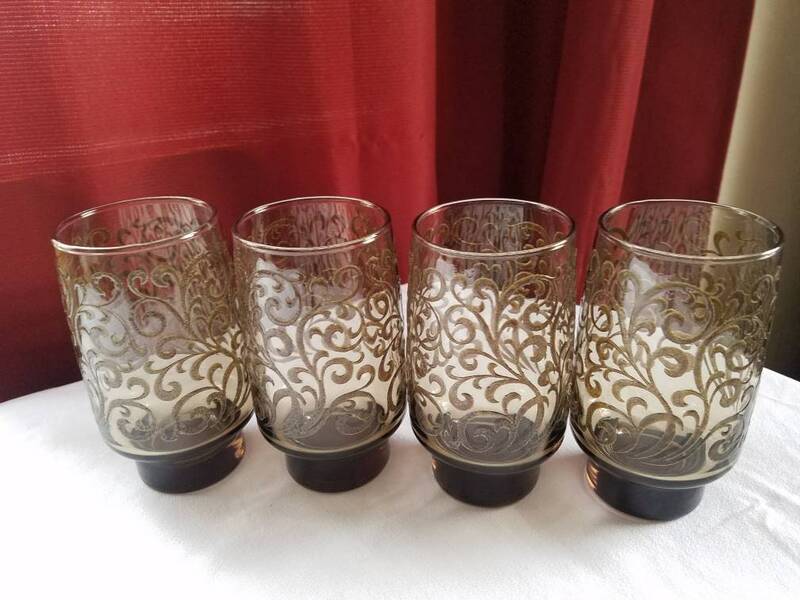 The vintage libbeys barware glasses are 5.5" tall tops are 2.75" and 2" base. These brown tumblers would make an excellent gift. They are collectable modern barware.